Check the boxes for the bundles you are interested in. 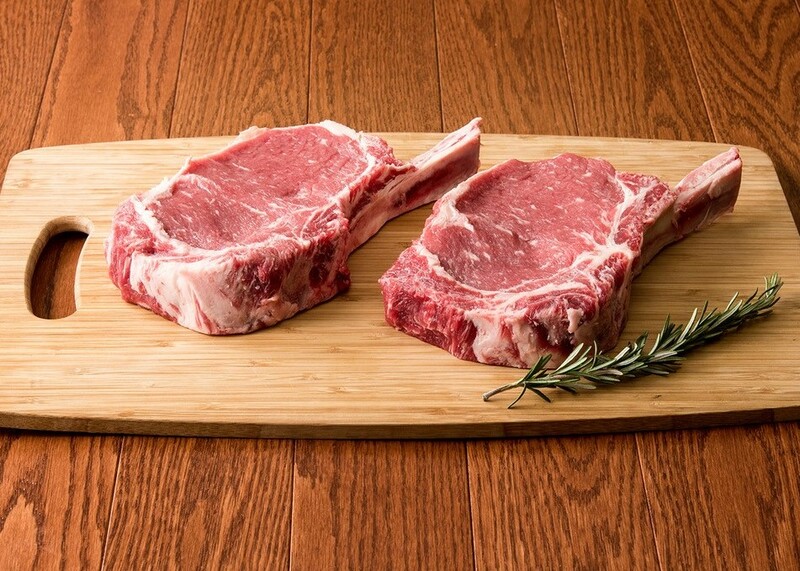 Also known as a Bone-in Ribeye, our grain-fed USDA Choice Cowboy Cut Steak is fast becoming a Byron Center Meats' customer favorite. Seasoned and grilled to perfection...it's your next grilling party show stopper. 5.5 pounds. 4 servings. WHAT COMES IN THIS HARVESTBOX COLLECTION? HarvestBox was founded by Byron Center Meats with a mission; to create a better way to eat. Byron Center Meats has over 70 years of meat processing experience and has created long-lasting partnerships with family farm partners that are committed to producing livestock according to HarvestBox’s specific standards.